It's easier to watch everyone else fight and die when all you care about is money. 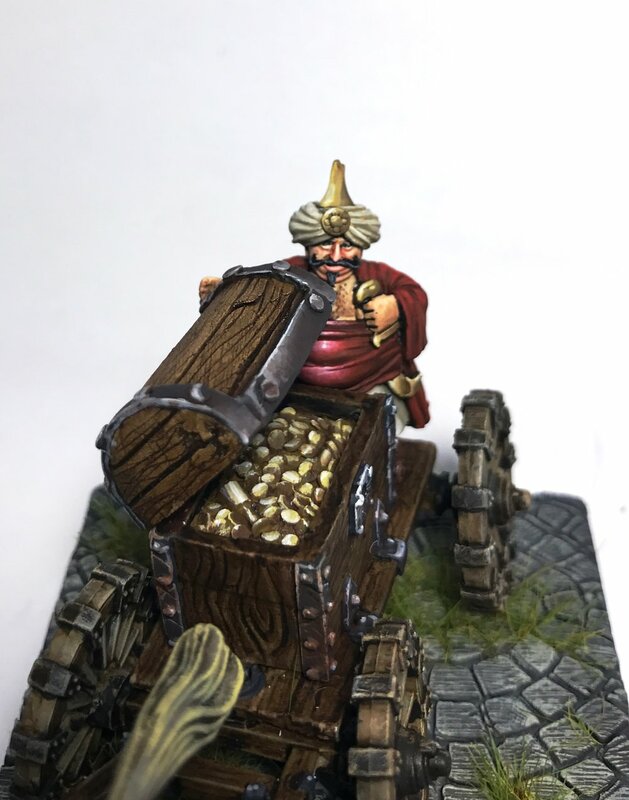 But don't let this short, rotund and rather foolish looking fellow fool you with his pudgy appearance and stupefying grin as he'll sooner gut you than let you touch his gold. Salvatore's guard captain, Mydas the Mean, holds the keys to the chest and is not so soft of body though perhaps not so quick of wit. Together then protect the legion's earnings and the legion will give their lives to protect their gold. 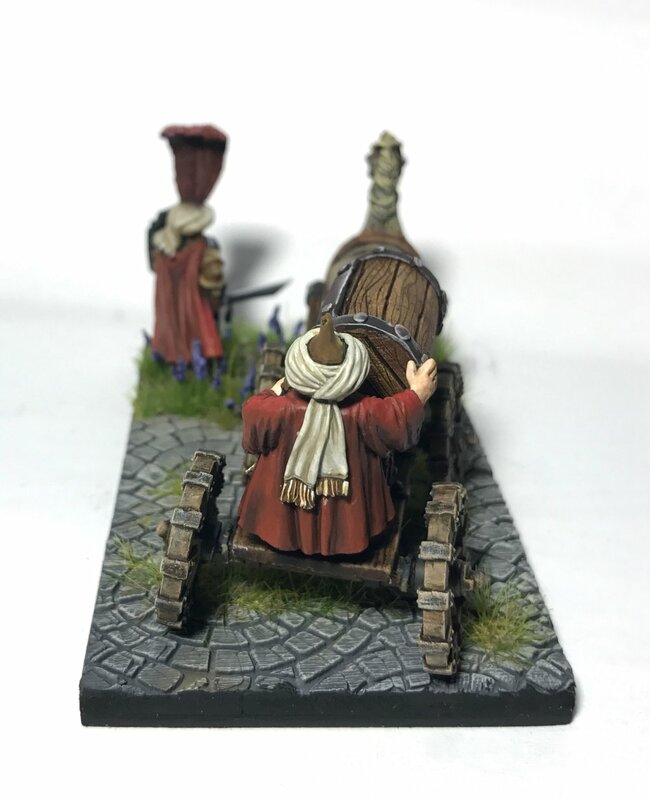 I took a few weeks holidays so updates have been few and far between, but since returning I've managed to finish off Mydas the Mean, the paycart for the Dogs of War. It's an old model and I'd lost a piece or two. I had to craft the chest list from scratch using Fimo and Green Stuff and the saddle is new on the horse because I lost the original clasp. I'm happy with the results of both those parts. My basing and non metallic metal are covered in previous entries, listed below. 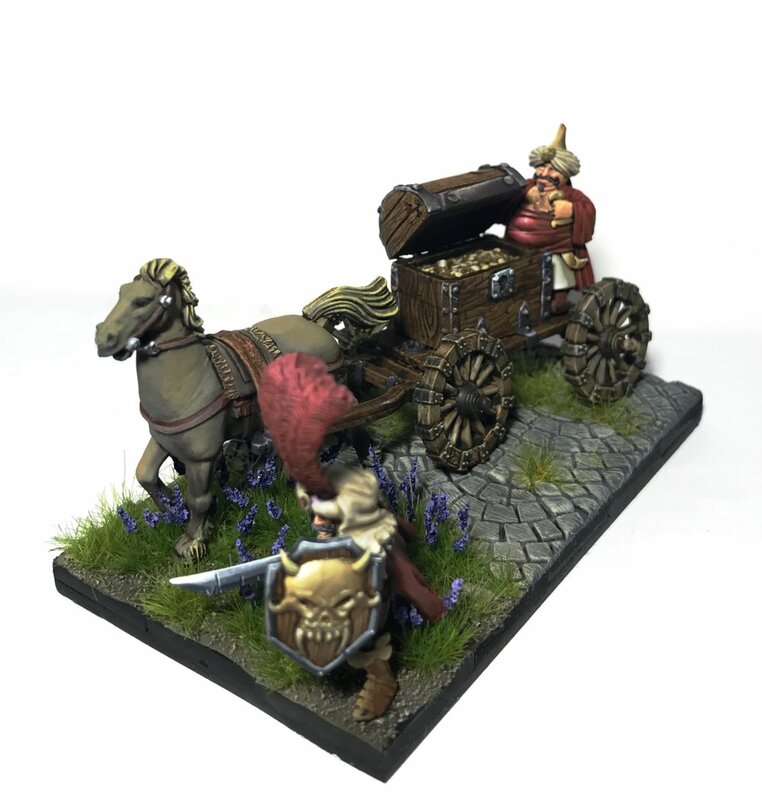 Mydas the Mean is removable from the base to run around separately depending on the game system I'm using this in, but in Kings of War this little chariot is going to be the battle shrine for my Rhordia army.